If you want to keep your teeth looking amazing and feeling good, then there are ways to ensure that this is the case. The more you go to the dentist, the less time you are likely to spend in the chair overall, as maintenance is key to good oral health and a great smile. Want some more great tips? Here’s what you can do to avoid time in the dental chair. It sounds a little strange, but going to the dentist more will actually result in you spending less time in the chair over time. How? Well, if you go to the dentist for regular check-ups and a professional clean, you are less likely to face major problems or a decline in the quality of your perfect, white smile. Two appointments a year for a clean and scale is far less than multiple appointments over a few months to solve a major dental problem. You’ll also find that your time at the dentist is much more pleasant if you keep up a regular habit! Brushing and flossing frequently will result in you having less chance of ending up with plaque build up that leads to tooth decay. Brush your teeth morning and night and floss at least daily. Want a professional tooth cleaning tip? Avoid brushing immediately after eating sticky foods like lollies or dried fruit. These sugary substances can actually compromise your teeth and brushing will cause more harm than good. Have a tall glass of water instead and brush your teeth a bit later. Speaking of stick foods, try to stay away from them! Eating foods that maintain strong teeth and bones are essential for avoiding gum disease and the numerous problems (and dentist visits) that come with it! Whiter teeth and fresher breath mean a healthier smile, right? Well, not necessarily. There may be a lot of marketing behind at home teeth whitening kits, but many of them involve dangers and risks. Avoid the kits that you pick up at the shops while you’re collecting your groceries. At best, they won’t be nearly as effective as a professional teeth whitening and at worst they will damage your teeth. 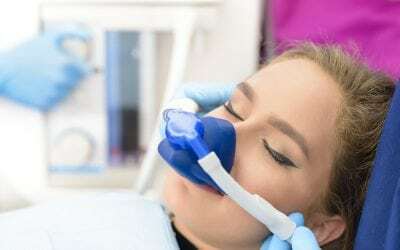 Before you decide to take home that whitening kit, learn a little bit more about the difference between home kits and professional whitening options. Similarly, not all mouthwash products are made equally. Look for a mouthwash with fluoride and if you’re not sure what to use, ask your dentist. Finally, don’t mistake whitened teeth and fresh breath for good oral health. You still need to keep up your brushing, flossing, healthy diet and regular dental visits. The best way we can keep you out of the dentist’s chair is by booking you in for an appointment! At Titirangi Dental, we deliver excellent oral care that keeps your teeth sparkling and your dental visits to a healthy minimum. Our educated and attentive team will tailor our dental treatments to meet your needs, including preventative and cosmetic dentistry. For more information, visit us in West Auckland or give us a call today.